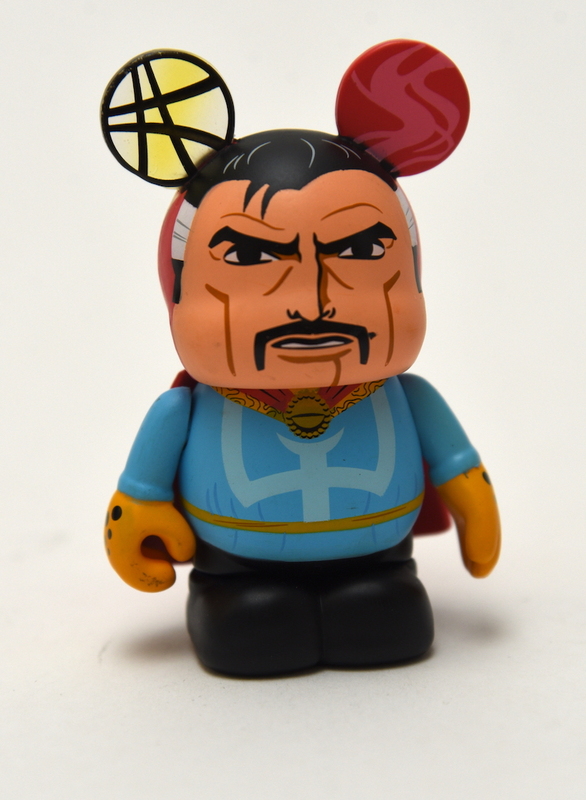 Description: This is the 2013 Doctor Strange Vinylmation series 1 figure that was sold at Disney Theme Parks. It stands 3" tall and features a short pudgy figure dressed in a classic comic version costume and has Mickey Mouse ears with the symbol of the Vishanti painted on one ear. The artist is Thomas Scott. These figures came in a blind box. This figure was 1 of 12 different figures.